Nobel Laureates Professor Ada Yonath and Professor Harald zur Hausen, leading film director Mike Leigh, and Channel 4 journalist and presenter Krishnan Guru-Murthy, join both the heads of the TUC and CBI, an acclaimed Indonesian author, a travel guru, and the CEO of British Library among those to receive honorary degrees from the University of Warwick 2015 summer graduation ceremonies. The University’s summer graduations will take place throughout the week commencing Monday 13th July 2015 and they will be held in the Butterworth Hall in Warwick Arts Centre. Biographies of all of those who will receive Honorary Degrees follow, along with the title of the degree they will receive. Details of media opportunities for each honorary graduand will be released nearer the time. 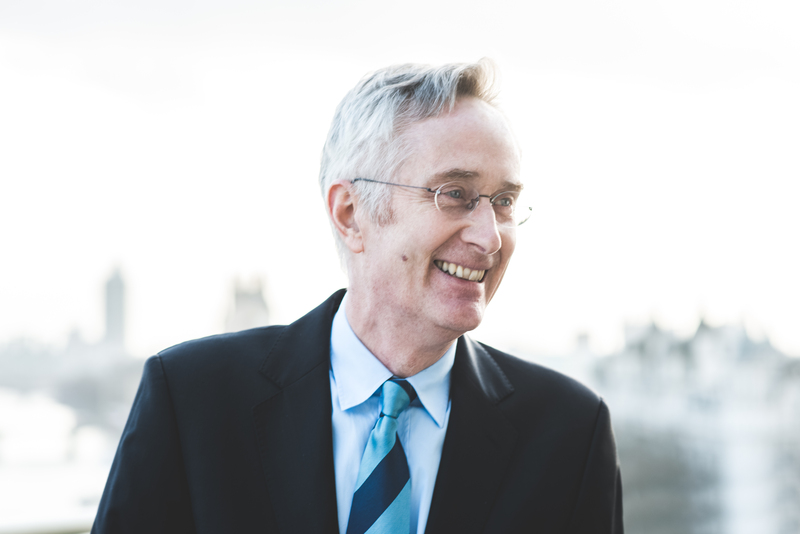 Sir Michael Barber is a leading authority on education systems and education reform. For over two decades his research and advisory work has focused on school improvement, standards and performance; system-wide reform; effective implementation; access, success and funding in higher education; and access and quality in schools in developing countries. 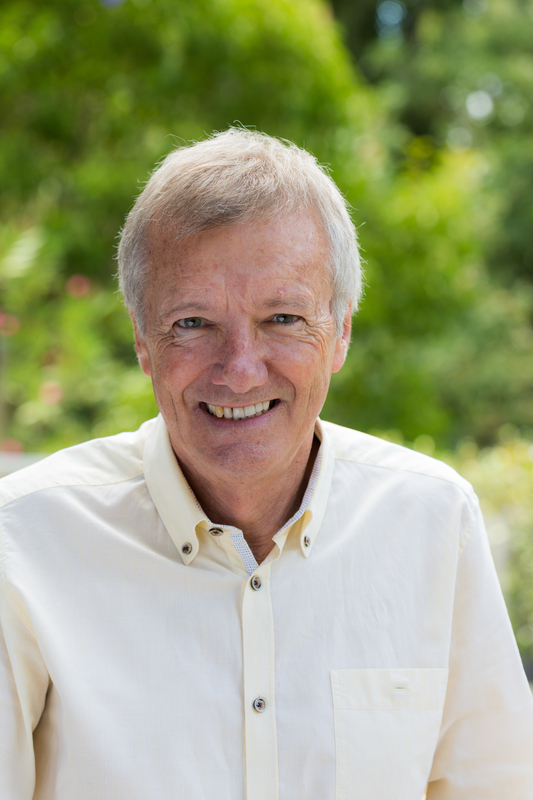 He joined Pearson in September 2011 as Chief Education Advisor, leading Pearson’s worldwide programme of efficacy and research ensuring the impact of the programme on the learner outcomes of Pearson and its customers. He plays a particular role in Pearson’s strategy for education in the developing world, and is Chairman of the Pearson Affordable Learning Fund. In addition, he is DfID’s Special Representative on Education in Pakistan. Prior to his time at Pearson, he was a Partner at McKinsey & Company and Head of McKinsey’s global education practice. He co-authored two major McKinsey education reports: How the world’s best-performing schools come out on top (2007) and How the world’s most improved school systems keep getting better (2010). He holds an honorary doctorate from the University of Exeter and the University of Wales. He previously served the UK government as Head of the Prime Minister’s Delivery Unit (from 2001-2005) and as Chief Adviser to the Secretary of State for Education on School Standards (from 1997-2001). Before joining government he was a professor at the Institute of Education at the University of London. 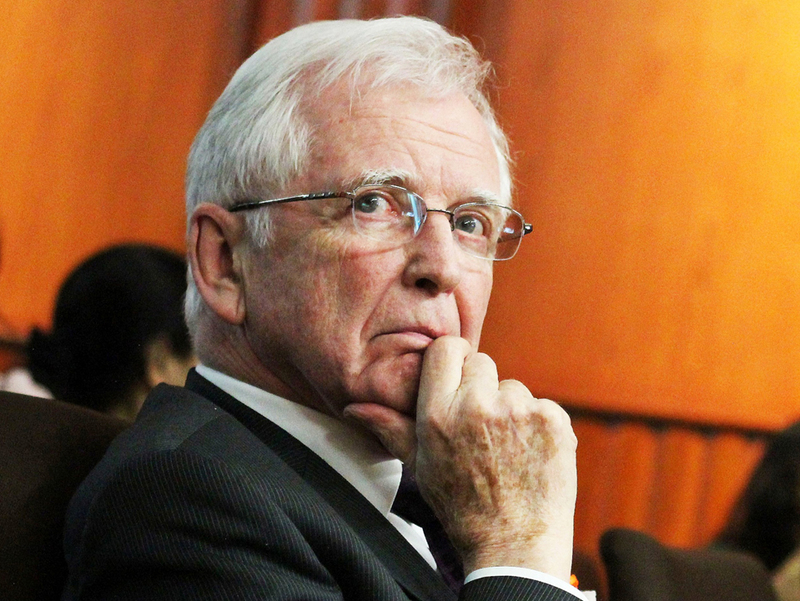 In 2013 Sir Michael published The Good News from Pakistan, with Reform, about the major school reform in Punjab, Pakistan. He is also the author, with Katelyn Donnelly and Saad Rizvi of Oceans of Innovation (2012) and An Avalanche is coming (2013), which explore the future of education in schools and universities respectively. He is the author of several other books including Instruction to Deliver; Deliverology 101; The Learning Game: Arguments for an Education Revolution and The Making of the 1944 Education Act. Chan Heng Chee is Ambassador-at-Large with the Singapore Foreign Ministry and Singapore’s Representative to the ASEAN Intergovernmental Commission on Human Rights. She chairs the Lee Kuan Yew Centre for Innovative Cities in the Singapore University of Technology and Design. She is also Chairman of the National Arts Council and a member of the Presidential Council for Minority Rights. 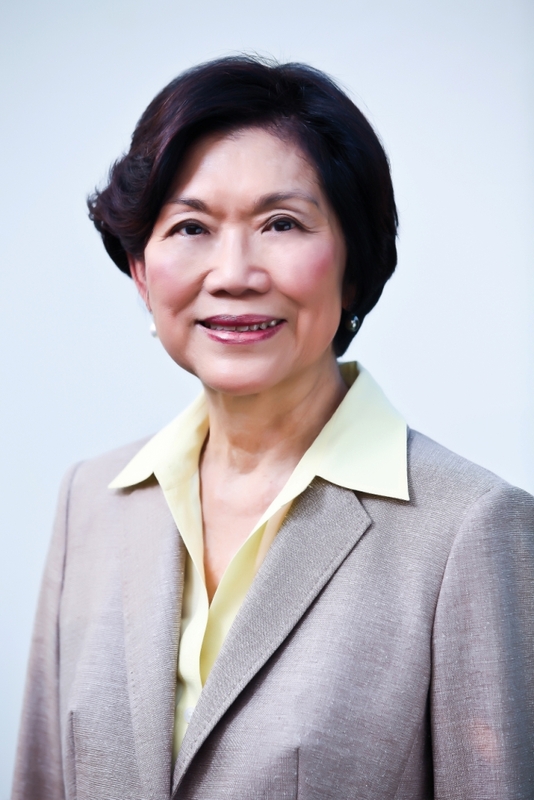 She is a member of the Board of Trustees of the National University of Singapore; a member of the Yale-NUS Governing Board; a member of the Board of Governors of the S. Rajaratnam School of International Studies, Nanyang Technological University; and a Founding Director on the Board of the S Rajaratnam Endowment CLG Limited. She is a Trustee of the Asia Society and a member of the Board of Lowy Institute for International Policy. Recently, she was appointed to the International Advisory Group of the MIT Center for Advance Urbanism. Previously, she was Singapore’s Ambassador to the United States from July 1996 to 14 July 2012 and Singapore’s Permanent Representative to the United Nations from 1989 to 1991 with concurrent accreditation as High Commissioner to Canada and Ambassador to Mexico. Ambassador Chan received a number of awards including The Public Administration Medal (Gold) in 1999; The Meritorious Service Medal in 2005; The Distinguished Service Order in 2011; Honorary Degrees of Doctor of Letters in 1994 from the University of Newcastle, Australia; and the University of Buckingham (United Kingdom) in 1998. She was named Singapore’s first “Woman of the Year” in 1991, and was twice awarded the National Book Awards in 1986 for “A Sensation of Independence: A Political Biography of David Marshall” and in 1978 for “The Dynamics of One Party Dominance: The PAP at the Grassroots”. When Ambassador Chan left Washington at the end of her appointment, she received the Inaugural Asia Society Outstanding Diplomatic Achievement Award, the Inaugural Foreign Policy Outstanding Diplomatic Achievement Award 2012 and the United States Navy Distinguished Public Service Award. Ambassador Chan holds a B.Soc.Sc (Hons) First Class from the National University of Singapore, a M.A. from Cornell University and a Ph.D from the National University of Singapore. Professor Anthony Cheetham obtained his D.Phil. at Oxford in 1971 and did post-doctoral work in the Materials Physics Division at Harwell. He joined the chemistry faculty at Oxford in 1974, and then moved to the University of California at Santa Barbara in 1991 to become Professor in the Materials Department. In 1992 he took up the Directorship of the new Materials Research Laboratory, which he led for 12 years. He became the Director of the newly created International Center for Materials Research at UCSB (University of California, Santa Barbara) in 2004, and then moved to Cambridge in 2007 to become the Goldsmiths’ Professor of Materials Science. He is a Fellow of the Royal Society (1994), the German Academy of Sciences (Leopoldina), the American Academy of Arts and Sciences, and several other academies. He has received numerous awards for his work in the field of materials chemistry; these include a Chaire Blaise Pascal, Paris, (1997-9), the Somiya Award of the IUMRS (with C.N.R. Rao, 2004), the Leverhulme Medal of the Royal Society (2008), the Platinum Medal of the IOM3 (2011), the Nyholm Prize for Inorganic Chemistry (2012), and a Chemical Pioneer Award from the American Institute of Chemists (2014). He is currently the Treasurer and Vice President of the Royal Society. 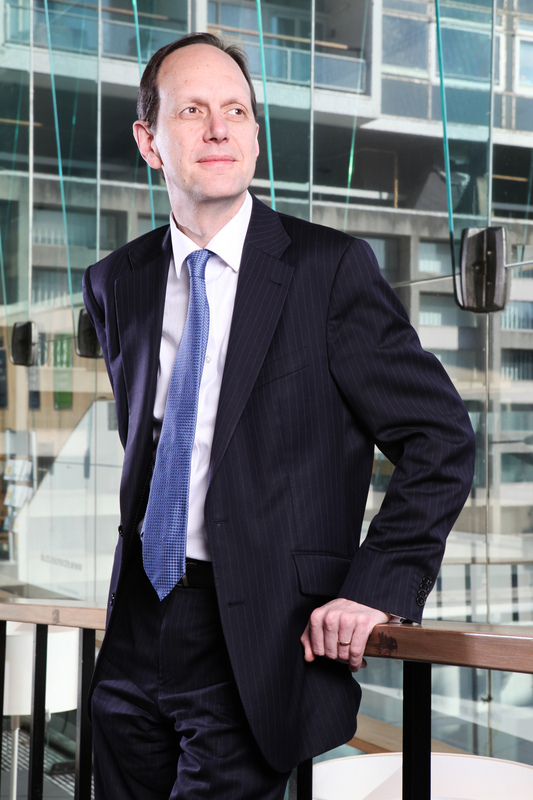 John Cridland is Director-General of the CBI. He announced in March that he intends to step down from that position after serving 5 years in the role. He joined the CBI as a policy adviser in 1982 becoming its youngest ever director in 1991, when he took on its environmental affairs portfolio. He moved to human resources policy in 1995, where he helped negotiate the UK’s first national minimum wage and entry into the EU’s “social chapter” on employment. He became Deputy Director-General of the CBI in 2000. He served on the Low Pay Commission from its formation in 1997 until 2007. He was Vice Chair of the National Learning and Skills Council between 2007 and 2010 and spent 10 years on the Low Pay Commission and the Council of the conciliation service, ACAS. He was also a member of the Commission on Environmental Markets and Economic Performance and the Women and Work Commission; Vice-Chairman of the Learning and Skills Council; a Board member of Business in the Community; a UK Commissioner for Employment and Skills and the Commission on Environmental Markets and Economic Performance. He was educated at Boston Grammar School and has an MA in History from Christ’s College Cambridge. He joined the CBI as a policy adviser in 1982 and he was its Deputy Director-General from 2000 to 2010. He was awarded a CBE for services to business in 2006. Guru-Murthy studied at Hertford College at the University of Oxford, where he read Philosophy, Politics and Economics. His TV career began in 1988 on BBC2's DEF II discussion programme Open to Question and the youth current affairs programme Reportage. While at Oxford University he presented BBC2's Asian current affairs programmes East and Network East and took over presenting and reporting for the BBC's children's news programme Newsround from 1991 to 1994. He then spent three years as a producer and reporter for BBC2's Newsnight and in 1997 became one of the launch presenters of the BBC's new rolling news channel BBC News 24, in the 12-4 pm slot. During his ten years at the BBC he also presented the news on BBC World, took part in various special events, such as the 1997 general election programme and the funeral of Diana, Princess of Wales, and co-presented The National Lottery Live on Saturday nights on BBC1. He also presented his own weekly radio programme on LBC 97.3 from 2003–2005, and has appeared on BBC Radio 4 as a broadcaster and commentator, presenting the series Hindu Lives in 2005. Since joining the Channel 4 news team in 1998 he has fronted big events from the Omagh bombing and 9/11 to special war coverage and the Mumbai attacks. Having covered five British general elections he does special political shows for Channel 4 such as the "Ask the Chancellors" debate. Krishnan also anchors controversial programmes outside the news including the first live televised "Autopsy". Harald zur Hausen studied Medicine at the Universities of Bonn, Hamburg and Düsseldorf and received his M.D. in 1960. After his internship he worked as postdoc at the Institute of Microbiology in Düsseldorf, subsequently in the Virus Laboratories of the Children's Hospital in Philadelphia where he was later appointed as Assistant Professor. After a period of 3 years as a senior scientist at the Institute of Virology of the University of Würzburg, he was appointed in 1972 as Chairman and Professor of Virology at the University of Erlangen-Nürnberg. In 1977 he moved to a similar position to the University of Freiburg. From 1983 until 2003 he was appointed as Scientific Director of the Deutsches Krebsforschungszentrum (German Cancer Research Center) in Heidelberg. He retired from this position in 2003. He received a number of national and international awards, among them the Robert-Koch-Price, the Charles S. Mott Price of the General Motors Cancer Research Foundaton, the Federation of the European Cancer Societies Clinical Research Award, the Paul-Ehrlich-Ludwig Darmstädter-Price, the Jung-Price, Hamburg, the Charles Rudolphe Brupbacher Price, Zürich, the Prince Mahidol Award, Bangkok, the Raymond Bourgine Award, Paris, the Coley-Award, New York, the Life Science Achievement Award of the American Association for Cancer Research, San Diego, and the Nobel-Prize for Medicine, 2008. He has also received 30 honorary doctorates. From 1989-1991 he chaired the Association of National Research Centres, in Bonn, Germany. From 1993-1996 he was President of the Organization of European Cancer Institutes. From 2000-2009 zur Hausen was Editor-in-Chief of the International Journal of Cancer, and from 2006-2009 he was member of the Board of Directors of the International Union against Cancer (UICC). From 2003-2009 he was Vice-President of the German National Academy for Natural Sciences and Medicine LEOPOLDINA in Halle. Since 2006 he is a member of the National Science Transfer and Development Agency in Bangkok, Thailand. Andrea Hirata is an acclaimed Indonesian author. He has written a range of novels, poetry and short stories including his first published novel the internationally acclaimed and best selling The Rainbow Troops. He was awarded a literary scholarship for the International Writing Program (IWP) at University of Iowa, USA. 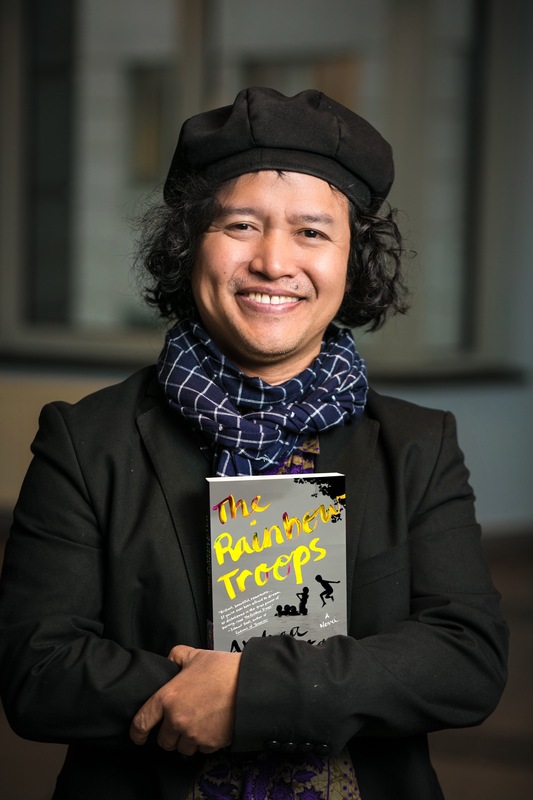 Hirata is also the winner of New York Book Festival 2013 for his first novel The Rainbow Troops, for the category of general fiction and the winner of Buchawards 2013, Germany for Die Regenbogen Truppe (The Rainbow Troops German version). The Rainbow Troops has been translated into 34 languages and published in more than 120 countries. His first short story Dry Season appeared in Washington Square Review Magazine, published by New York University in 2011. The Rainbow Troops has also been adapted to audio books, choreography and big screen. The film of the book is the highest grossing in Indonesian film history with and audience of over 5 million. It was also screened as part of the Berlin International Film Festival 2009 and has won a number of national and international awards. The Rainbow Troops is inspired by true events. It tells the story of a tight-knit group of students and their teachers in a very small island of Belitong, Indonesia, fighting for education and dignity, even as they face continual hardship. With millions of copies sold, the book has contributed significantly to the development of Indonesian literature bringing Indonesian literature to the fore and is widely read in Indonesian schools. The book has introduced Belitong Island to the world and created its tourism industry. Thousands of natives Belitong are involved in this new industry as their new livelihood. To encourage interest in reading and literature, Hirata has set up Indonesia’s first literary museum called “Museum Kata Andrea Hirata” (Andrea Hirata Words Museum) since 2010. He has also collaborated with other International authors such as Matteo Pericoli for his book Windows On The World Project, 50 Writers, 50 Views. Charlotte Hogg became the first Chief Operating Officer at the Bank of England in July 2013. Charlotte read economics and history at Oxford and was a Kennedy Scholar at Harvard. She entered the Bank of England in 1992 as a graduate entrant, but left in 1994 to join McKinsey in Washington where she was a Principal in Financial Services. 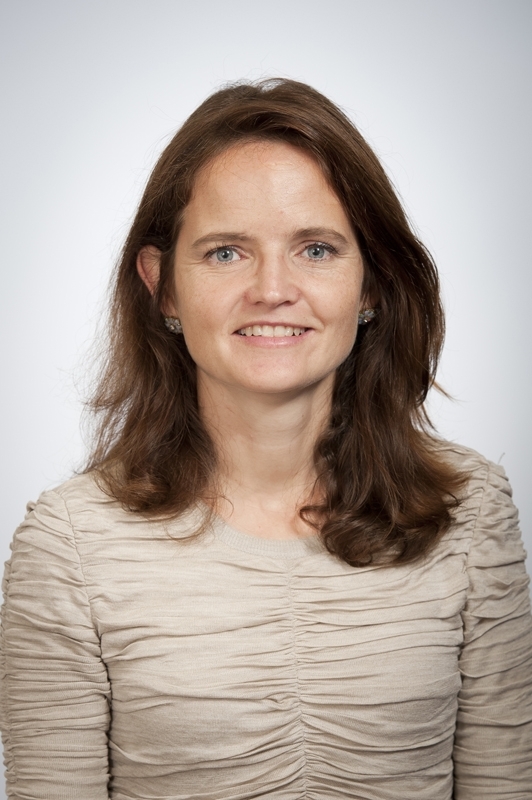 In 2001 Charlotte became Managing Director for Strategy and Planning at Morgan Stanley, from which she joined Discover Financial Services – a Morgan Stanley spin-off – responsible for the credit card business. In 2008 she joined Experian as Managing Director UK and Ireland. She was CEO of Goldfish Bank and then Managing Director of Experian, UK & Ireland. She also served as Head of Retail Distribution and Intermediaries at Santander UK. She is a member of the Finance Committee of Oxford University Press, a former member of the board of BBC Worldwide, a Governor of Nottingham Trent University and Trustee of First Story Ltd.
António joined the board of Lloyds Banking Group on 17 January 2011 as an Executive Director and became Group Chief Executive on 1 March 2011. 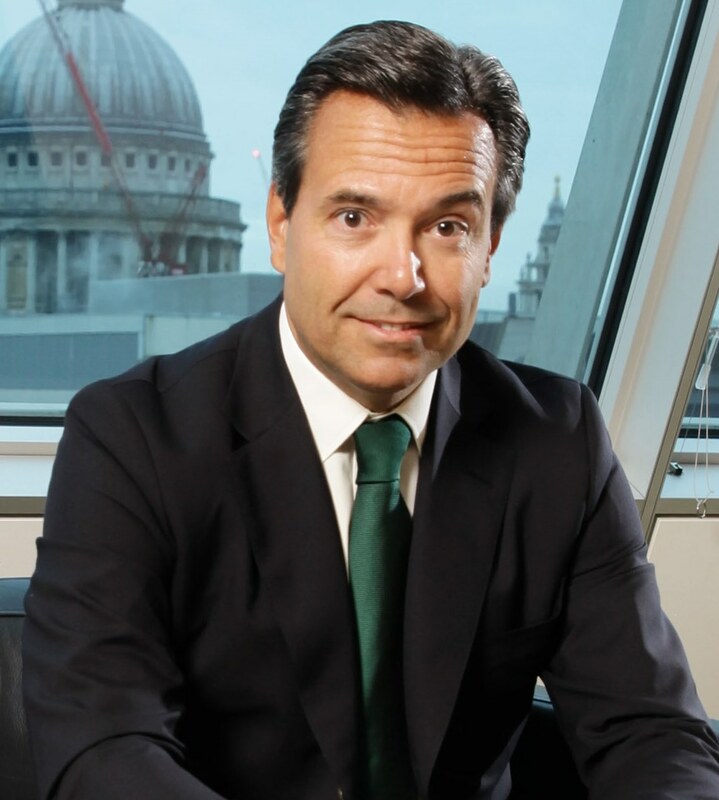 Previously he was the Chief Executive of Santander UK plc and Executive Vice President of Grupo Santander. He was also Chairman of Santander Totta until 2011, where he was CEO between 2000-2006, and prior to that was CEO of Banco Santander Brazil. He began his career at Citibank Portugal where he was Head of Capital Markets. At the same time, he was an assistant professor at Universidade Católica Portuguesa. He then worked for Goldman Sachs in New York and London. In 1993, he joined Grupo Santander as Chief Executive of Banco Santander de Negócios Portugal. 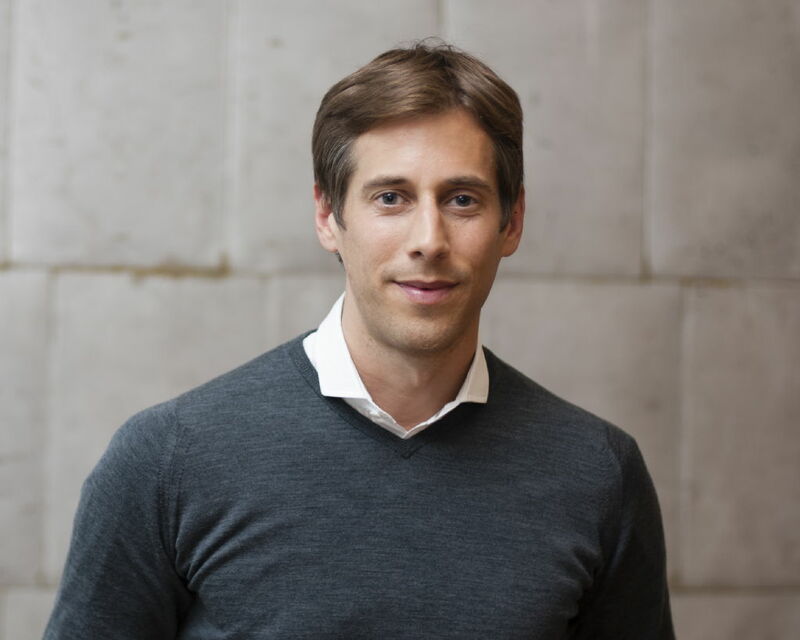 He is a graduate in management and business administration at Universidade Católica Portuguesa, António and has a MBA from INSEAD where he was awarded the Henry Ford II prize. He also has an AMP from Harvard Business School. In 2014 the Government of Portugal awarded him with the Order of Merit Grã-Cruz, which is the highest Order of Civil Merit. He has served as a non-executive Director to the Court of the Bank of England, and is currently a non-executive of Fundação Champalimaud in Portugal. He serves on the CBI President’s Committee and is a Governor of the London Business School. In 2015 he became Chairman of the Wallace Collection in 2015 (a Prime Ministerial appointment). The Wallace Collection is one of Europe’s foremost art collections and the greatest private bequest to the nation in Great Britain. Neil Hutchinson is a Warwick graduate (graduating in Management Science from Warwick Business School in 2000 - he was also WBS's Marketing Student of the Year for that year). He is the founder of NEON Adventures, an investment vehicle with activities in finance, property, lifestyle and philanthropy. He also continues to support and remains the principal investor in the Forward Internet Group, which he founded in 2004. Forward creates, acquires and invests in web businesses across a variety of industries and territories. Forward's portfolio of over 30 companies is spread across 2 investment vehicles; Forward Private Equity, which includes Factory Media (which positions itself as Europe’s largest and most innovative action sports media owner) and Forward3D (which describes itself as The fastest growing digital agency in the UK); and Forward Partners the portfolio of which includes Appear Here (which aims to revolutionise the way people rent space), Zopa (which claims to be the UK's leading peer-to-peer lending service) and Somo (which markets itself as the largest full-service mobile solutions company in the world). Neil also likes giving back through the Forward Foundation - helping charities and social enterprises improve young lives and recently set up the NEON Foundation focused building transformational products for the educational sector. 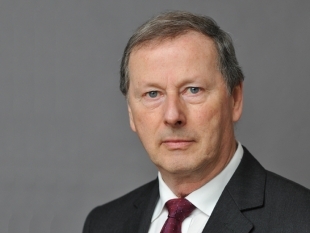 He has overseen a series of significant projects, including a historic move to large-scale digital collecting with the implementation of the Non-Print Legal Deposit regulations and the incorporation into the Library of the Public Lending Right service. The Library’s newspaper collection has been a significant area of focus, with the transfer of the collection from Colindale to a new state-of the art storage facility at Boston Spa and the opening of The Newsroom, a new reading room at St Pancras dedicated to news collections across all media formats. Roly has recently led the development of Living Knowledge, a new vision for the British Library which maps out major developments leading up to the Library’s fiftieth anniversary in 2023. He joined the Library after a long and successful career at the BBC, where his roles included Controller of BBC Two, Controller of BBC Four and Director of Archive Content, with editorial oversight of the BBC's online services including BBC iPlayer. Roly is a member of the Barbican Centre Board and a Trustee of Turner Contemporary in Margate. He chairs and Knowledge Quarter Board, and is a member of the Leadership for Libraries taskforce. 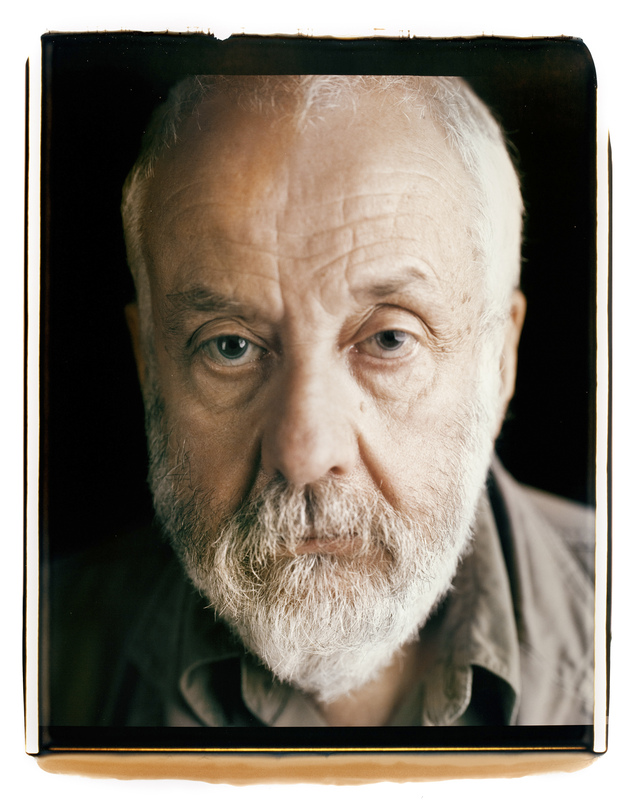 Writer-director Mike Leigh trained at the Royal Academy of Dramatic Art, Camberwell and Central Art Schools in London, and at the London Film School, of which he is now the Chairman. He has several significant arts connections to the Midlands including time Midlands Art Centre in Birmingham as a resident assistant director and as an assistant director with the Royal Shakespeare Company in Stratford. His first feature film was Bleak Moments (1971); this was followed by the full-length television films, Hard Labour (1973), Nuts in May (1975), The Kiss of Death (1976), Who’s Who (1978), Grown-Ups (1980), Home Sweet Home (1982), Meantime (1983), and Four Days In July (1984). His other feature films include High Hopes (1988), Life Is Sweet (1990), Naked (1993), Secrets and Lies (1996), Career Girls (1997), Topsy-Turvy (1999), All Or Nothing (2002), Vera Drake (2004) Happy-Go-Lucky (2008) Another Year (2010) and Mr. Turner (2014). His films have received over 150 awards or nominations for awards including seven Oscar nominations and several Cannes Film Festival nominations and prizes including winning the 1996 Palme d'Or for Secrets & Lies, and the Best Director Prize for Naked in 1993. He was awarded a BFI Fellowship in 2005. He was awarded a BAFTA academy Fellowship in 2015, and in 2005 won BAFTA’s David Lean Award for Direction for Vera Drake, and the BAFTA John Schlesinger Britannia Award for Excellence in Directing for Mr. Turner (2014). He won the Alexander Korda Award for Best British Film for Secrets and Lies which also won the Boston Society of Film Critics Award in 1996 among many other awards and nominations for that film. He was awarded the OBE for services to film in 1993. Frances is the General Secretary of the TUC. She first joined the TUC as Campaigns Officer in 1994, and went onto launch the TUC’s Organising Academy in 1997. Frances headed up the TUC’s organisation department in 1999, reorganising local skills projects into “unionlearn” which now helps a quarter of a million workers into learning every year. 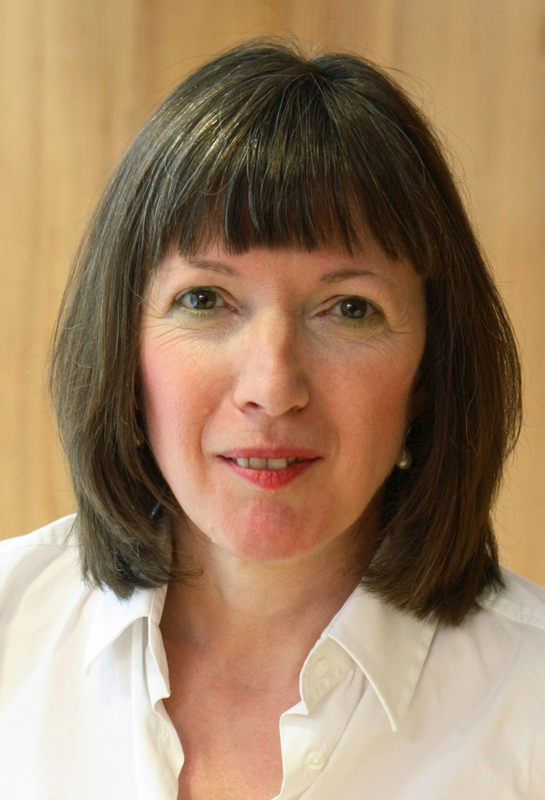 As Deputy General Secretary from 2003, Frances led on the environment, industrial policy, the NHS and winning an agreement covering the 2012 Olympics. She has served as a member of both the Low Pay Commission, the High Pay Centre and the Resolution Foundation’s Commission on Living Standards. 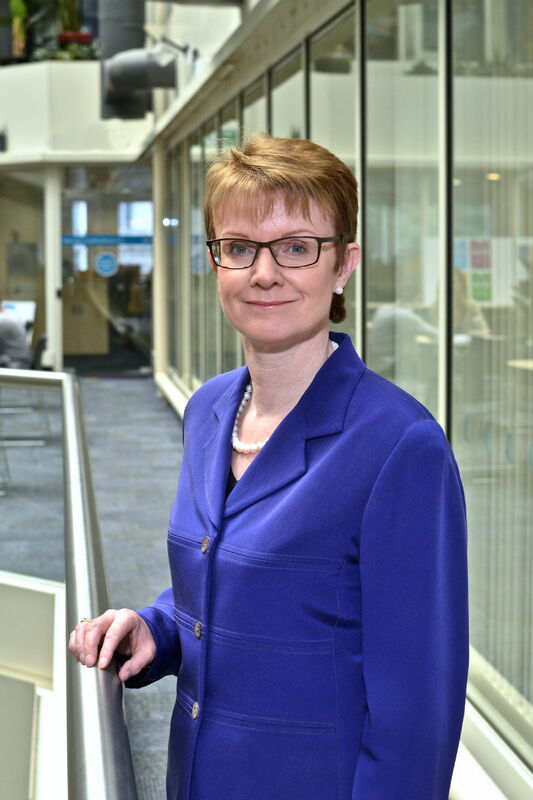 Jane Platt CBE has been Chief Executive of National Savings and Investments (NS&I) since September 2006, a company that looks after over £110bn for some 25 million customers. It is best known for Premium Bonds and in January 2015 successfully launched £10bn of new 1 and 3 year bonds for those aged 65 and over – the largest UK retail savings product launch in peacetime. Since she became Chief Executive, NS&I has also started to provide services to other parts of government, using its expertise and capability to reduce costs and improve services. She also became a non-executive director of the Financial Conduct Authority in April 2013. She trained as an investment manager, Jane managed pension funds with Mercury Asset Management before moving to BZW where she held a number of senior management positions in their asset management division to become Chief Operating Officer and part of the team which created Barclays Global Investors – at the time the largest institutional asset manager in the world. Jane was appointed Chief Executive of Barclays Stockbrokers and Barclays Bank Trust Company before moving to Reuters as President of their global division, Services for Asset Managers. She has acted as a non-executive director of Royal London Group and has experience of being a pension fund trustee. Educated at Birkenhead High School GDST, she studied Modern Languages (French and Spanish) at St Catherine’s College Oxford. She is a Chartered Fellow of the Institute for Securities and Investments, Past Master of the Worshipful Company of International Bankers and has served on the Advisory Board of Women in Banking and Finance. She was awarded with a CBE in 2013 for her contribution to UK financial services. 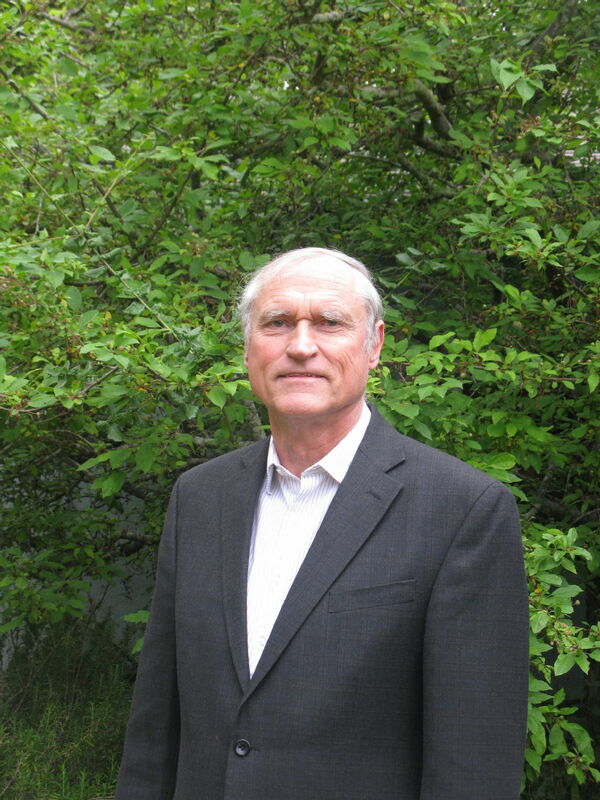 Dr. Richard Schoen received his PhD from Stanford University in 1977. He held positions at the Courant Institute, UC Berkeley, and UC San Diego before returning to Stanford as Professor in 1987. He is currently the Anne T. and Robert M. Bass Professor of Humanities and Sciences. He was chair of the Stanford mathematics department from 2001 until 2004. Dr. Schoen was awarded the Bôcher Prize by the American Mathematical Society for his resolution of the Yamabe problem of differential geometry. Phil Smith is the UK & Ireland Chief Executive of Cisco. Phil has a thirty year track record in the Information and Communications Technology industry. He leads around 5,500 Cisco people in the UK and Ireland. 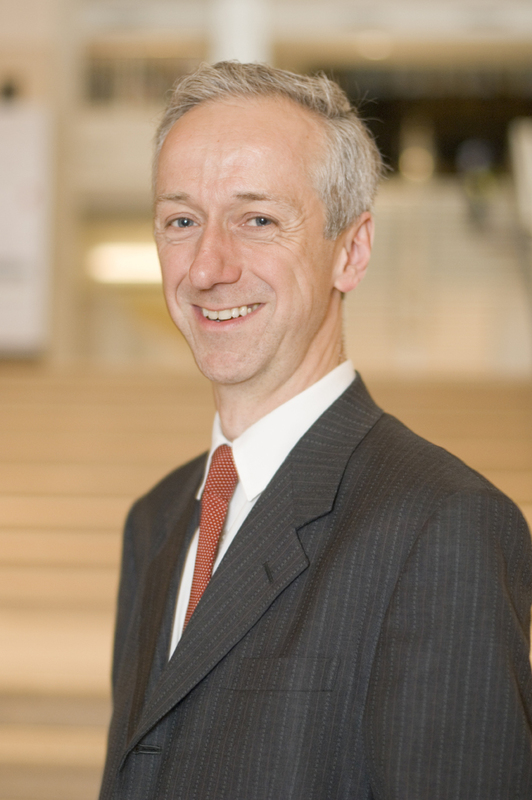 He is the Chairman of Innovate UK and Chairman of The Tech Partnership. He sits on the board of The Business Disability Forum, the Foundation for Science and Technology (FST) and The National Centre for Universities and Business (NCUB). He is also the Co-Chair of the Future Technologies and Infrastructure Working Group for the Information Economy Council. In December 2013, he was hailed as the 5th most influential person in UK IT by Computer Weekly in its UKTech50 awards. 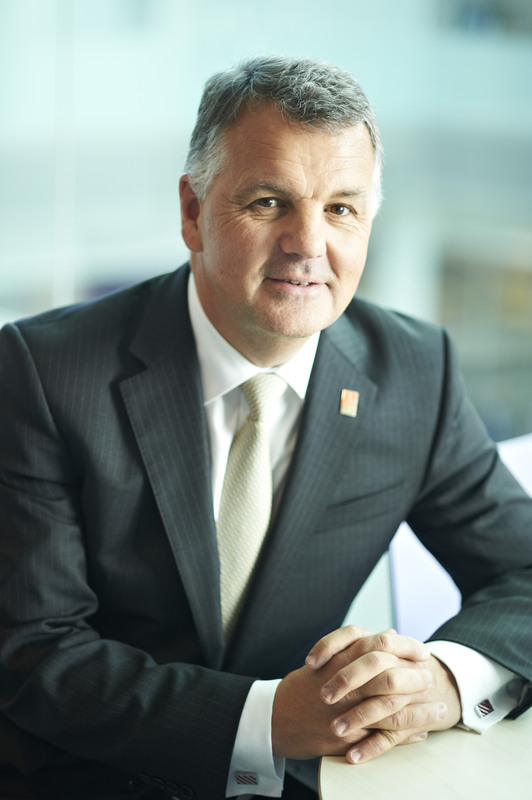 In 2012, Phil was voted Orange Business Leader of the Year in the National Business Awards and ranked as number 29 in the Wired 100. In September 2014 he created Cisco’s British Innovation Gateway (BIG) programme, as a legacy of London 2012 to spark nationwide ingenuity, ambition and growth through technology entrepreneurship. Phil is the founder of ‘The Leaderboard’ a cross industry team of around 40 UK CEOs who have raised more than £350,000 for Comic Relief and Sport Relief by competing in triathlons. In August 2014, Phil represented Team GB in his age group at the Triathlon World Championships in Edmonton, Canada. Born in the Britain he grew up in Pakistan, the Bahamas and the USA before returning to the UK to finish school, go to university and eventually end up living in Australia. James Robinson is the Wilbur A. Cowett Professor of Government at Harvard University and a faculty associate at the Institute for Quantitative Social Science and the Weatherhead Center for International Affairs. He studied economics at the London School of Economics, the University of Warwick and Yale University. He previously taught in the Department of Economics at the University of Melbourne, the University of Southern California and before moving to Harvard was a Professor in the Departments of Economics and Political Science at the University of California at Berkeley. His main research interests are in comparative economic and political development with a focus on the long-run with a particular interest in Latin America and Sub-Saharan Africa. He is currently conducting research in the Democratic Republic of the Congo, Sierra Leone, Haiti and in Colombia where he has taught for many years during the summer at the University of the Andes in Bogotá. Nobel Laureate Professor Ada E. Yonath is a Professor in the Department Structural Biology and Director of the Kimmelman Center for Biomolecular Structure, which are both part of the Weizmann Institute in Israel. She graduated the Hebrew University, after earning her doctorate from the Weizmann Institute she held a Postdoctoral Fellowship at Mellon Institute in Pittsburgh and at the Department of Chemistry in MIT. In 1970 she returned to the Weizmann Institute and founded what was, for almost a decade, the only protein crystallography laboratory in Israel. After returning from a sabbatical year at the University of Chicago, she headed a Max-Planck Institute Research Unit in Hamburg, Germany (1986 – 2004) while she also contined her research work at the Weizmann Institute. In 2009 she, Venkatraman Ramakrishnan, and Thomas A. Steitz won the Nobel Prize in Chemistry for their studies on the structure and function of ribosomes. Scientists have understood the function of the ribosome since the 1950s but had little understanding of their structure and how they worked. Professor Yonath and her colleagues succeeded in creating the first ribosome crystals and eventually in solving the complete spatial structure of both subunits of the bacterial ribosomes. Her research mainly focused on how the genetic information is decoded and on the interaction between ribosomes and antibiotics. Among others, she is a member of the US National Academy of Sciences (NAS); the American Academy of Arts and Sciences; the Israel Academy of Sciences and Humanities; the German Science Academy (Leopoldina); the Pontificia Accademia delle Scienze (Vatican); the European Academy of Sciences and Art; the Korean Academy for Science and Technology; the European Molecular Biology Organization (EMBO); the Microbiology Academy; the International Academy of Astronautics and the UK Royal Society for Chemistry. She holds honorary doctorates and medals from several universities and has received many other awards and honours, including the Wolf Prize in Chemistry, the Albert Einstein World Award in Science, The UNESCO-L’Oréal Award for European Woman in Life science, the Israel Prize, the Paul-Karrer Medal; the Louisa-Gross-Horwitz Prize; Ehrlich-Ludwig Medal; Linus Pauling Gold Medal; Anfinsen Prize; Erice Peace Prize; and the Maria Sklodowska-Curie Medal.